We are offering Expanded PTFE Teflon Joint Sealant Tape. 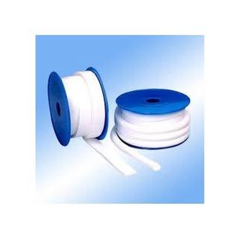 Being an industry leader, we offer comprehensive range of PTFE Thread Sealant Tape to our esteemed clients. 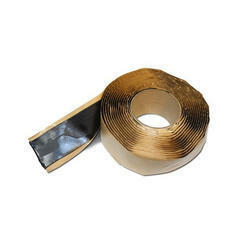 These are also known as Thread Seal Tapes/Teflon Tapes. · we are glad to inform you that We are the authorized Channel partner for JD Jones & Co.
· JD Jones & Co is known for packing & Sealing with world’s leading brand “PACMAAN, “ROLGARD Products with 94 Years of expertise in the field. DEECO Brand High Quality Teflon PTFE Tapes Availble in different sizes and thickness. VESCOAT Expanded PTFE joint sealant is a white 100% Pure PTFE product with continuous banding; it has good flexibility peculiarity, encapsulate resilience, high resistant & low temperature and excellent resistant corrosion, no aging, lubrication itself. The sealed Peculiarity excellence and install it expediency. PTFE is a superior grade, non-hardening, easy to apply, heavy duty pipe thread sealant. It is formulated to a thick paste consistency, fortified with an extra amount of PTFE and PTFE materials to insure a positive seal with less effort. PTFE is designed for all pipe fitters, fabricators, plumbers and mechanical contractors.